Donald Grey Barnhouse was a leading Evangelical speaker and writer in the late 1940s and early 1950s. Pastor of the Tenth Presbyterian Church in Philadelphia, he was a popular radio speaker, author of several books, and founder and senior editor of Eternity Magazine. Walter Martin had come to his attention while still a graduate student in the history of American religion at New York University. A dynamo of energy, by 1955, Martin had already written several books on American cults. That spring, as consulting editor on the Eternity staff, and director of cult apologetics for Zondervan Publishing Company, Martin, a Southern Baptist, came to Washington D.C. and stopped in at General Conference headquarters. He told them that he was about to write his next book on Seventh-day Adventists– and asked whether they might have anything to give him in the way of source materials. He was half expecting them to kick him out the door, but instead he was ushered into the office of L.E. Froom, our leading General Conference researcher at that time. Froom asked that two other General Conference workers be present: Roy Allen Anderson, Secretary of the General Conference Ministerial Association, and W.E. Read, a second General Conference researcher. MARTIN PRESENTS HIS QUESTIONS-Martin presented these leaders with a list of what he considered to be questionable doctrines, and asked for written replies. Our men saw here a grand opportunity to evangelize the other churches) All they had to do was to word their replies in such a manner as would be agreeable to Martin, and he would then write his book and declare Seventh-day Adventists to be “fellow Evangelicals.” It was a glorious opportunity,- or so thought Anderson and Froom, who led out in preparing all those “answers to questions on doctrine.” On one point, they were on solid ground: Martin had found Arianism (the teaching that Christ was a created being) in some of our 19th century writers, and they assured him that this was definitely not a teaching of our church. But Martin had other concerns: He told them that Adventist could not be regarded as “Evangelical” if they believed that there was any atonement (salvational work) after Calvary (thus negating the ministry in the heavenly Sanctuary), if they believed that obedience to the law of God was in any way necessary for salvation, or even that it was necessary for Christ while on earth to keep the commandments of God for if He had to, then we would have to; since He is our pattern. Froom wrote up the initial set of replies to Walter Martin’s initial set of questions. Twenty pages in length, they were handed to Martin at the next meeting, and he stayed up till 2 A.M. that night going over them. Those of you who have read in Leroy Edwin Froom’s books (Movement of Destiny is a good example) will know that Froom was an expert at marshalling words to say what he wanted them to say. As Elder Ralph Larson so ably pointed out in Documentary Fraud [FF-261, Froom could even take bits and pieces from a collection of Spirit of Prophecy quotations-and make them say exactly the opposite of what they originally said) He was a master at subtle verbal restatement. The next day’s session with Martin was momentous. At that meeting, Martin announced that, from the replies, he had been mistaken as to his understanding of several of our teachings, but that there were others that he still had questions about. Our leaders saw that if they worded their replies carefully enough they might succeed in being accepted as fellow Evangelicals by the mainline Protestant churches of America! TYING THE KNOT- Recognizing that it would do little good if these Adventist leaders only gave HIM such double-tongued doctrinal replies, he proposed something that was to transform the situation from some private conference compromises into a denomination-wide doctrinal changeover. Martin asked for this (and remember, when Martin asked for anything, there was always the veiled threat in the background that if it were not acceded to, he would write that terrible book about us. ): Walter R. Martin suggested that he present our leaders with a lengthy set of questions, and that our leaders should write a lengthy set of replies that would be agreeable to the modern Ecumenicals. Then the Adventists should PUBLISH those questions and their replies in a BOOK that would go to all the Adventists, and also be sent to Protestant libraries throughout the world. Martin’s concern was obviously to CEMENT in those replies into DOCTRINAL FACT, thus roping all the Adventist believers into these new positions. He, in turn, would publish his book exonerating Seventh-day Adventists as a great people that were fully Christian and fully orthodox- and definitely not a cult. All this began in the spring of 1955, and those meetings continued on for many months until partway through 1956. In order to forestall a world-wide Adventist uprising against this strange new doctrinal book, at one of the meetings Martin asked that the questions and replies be sent, prior to publication, to a large number of Adventist leaders throughout the world field. Anderson and Froom sent the paperwork to 250 world leaders of Adventism, thus implicating them so that they would not dare to later raise a hue and cry against the book later. But there was one man that Froom and Anderson privately agreed among themselves – should not receive a copy of those book chapters. That man was Elder M.L. Andreasen. Andreason stood head and shoulders above any other theologian in the denomination. Back in the late 1930s, he it was who had been selected by the General Conference to teach the first experimental class at, what was to become, the “Seventh-day Adventist Theological Seminary.” In the 1940s he had written book after book on the Sanctuary Message, and he knew it better than any other man alive. Froom and Anderson knew that this solid Adventist, who stood solidly for the Spirit of Prophecy, was not going to accept the new light that the atonement had been finished in A.D. 31. ELDER ANDREASEN DEFENDS TO THE END – Elder M.L. Andreasen, the acknowledged expert on our Sanctuary Doctrine in the 1940s, led the attack against the book, Questions on Doctrine, when it was published late in 1957. But it cost Andreasen his life. Kicked out of the ministry, and with his denominational retirement withdrawn, he finally had to apply to a local California State Welfare Office in Southern California for money for himself and his wife to live on. Officials there inquired into his case and learning that the denomination had illegally stopped paying him the denominational sustentation he had worked for during his lifetime, they telephoned our leaders and said that they were glad to pay Andreasen’s welfare bills, but they would also be instituting legal proceedings against the General Conference to recover them. Immediately Andreasen’s sustentation payments were again sent to him from Takoma Park. 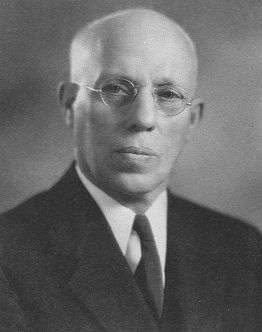 A few years later, faithful Elder Andreasen- who had always been strong and healthy- died of a bleeding ulcer. The battle had cost him his life. Perhaps before this is all over, more of God’s people will die in the fight to defend those God-given standards and doctrines, but it is a good way to go. This short letter below was between M. L. Andreasen, a champion of truth, and R. R. Figuhr. Another matter, with all my correspondence I have never for a moment doubted your sincerity or Christianity. I cannot say that of all your advisors. I have wished again and again that just the two of us could get together alone for a while, and within a day the whole matter could be c1eared up. The Publication of the “book”, “Questions”, has greatly complicated matters. I think the time is past when a catastrophe can be avoided, but I think some things may yet be saved. I weep for my people, weep for you. This is the apostasy foretold long ago, and I am sorry that you are involved in it. I have counted the cost it will be to me to continue my opposition; but I am trying to save my beloved denomination from committing suicide. I must be true to my God, as I see it, and I must be true to the men that trust me. I wish you could find some way in which the two of us could get together and talk matters over. Edward Heppenstall -His presentations on the law and covenants at the 1952 Bible Conference were highly influential upon the theology of the church. Heppenstall was responsible for a more progressive understanding of the church’s “investigative judgment” teaching. Heppenstall was one of the most influential scholars to come out against M. L. Andreasen‘s final generation theology. While upholding the “pillar” doctrines of the Adventist pioneers, he moved forward on the understanding on such issues as the human nature of Christ and the atonement. He emphasized, as did Questions on Doctrine, the atonement on the cross with a continuing ministry in heaven in the antitypical Day of Atonement. Beyond these issues, he stressed such teachings as the helplessness of human beings to do good of their own selves, justification by faith in relation to the entire plan of salvation, the impossibility of humanly achieving what some people think of as sinless perfection, the fact that Jesus was not just like other children of fallen Adam and the new covenant experience.